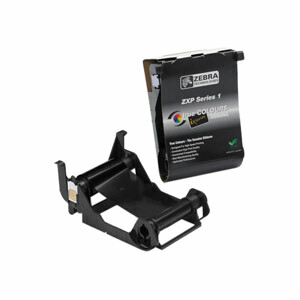 ID Super Shop offers incredible prices and a full selection of Color ID Printer Ribbons certain to be compatible to your ID card printer. Additionally we also offer Monochrome ID Ribbons and ID Overlaminates from brand names including Fargo, Datacard, Evolis and more. Shop by type or brand and check out our selection of ID card supplies. Should I throw out my ribbon if it breaks? In most cases a broken ribbon can just be taped together with continued use after rolling the film past the tape. If the printer cuts the ribbon again, you should contact us for troubleshooting or service on your printer. What if my ribbons are defective? 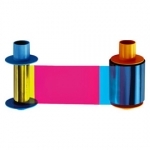 Ribbons are rarely defective however many users unfamiliar with card printers assume this is the issue when the printer does not recognize the ribbon installed. If you believe you have defective ribbons, we encourage you to contact us so we can conduct some basic troubleshooting and coordinate an exchange if necessary. 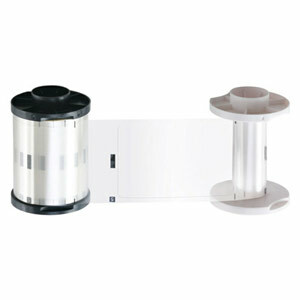 Are the ribbons compatible with any printer? No they are not. Each printer has their own ribbons. Why would someone need transfer film? 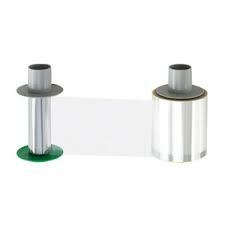 Transfer film is a product used exclusively with retransfer printers as part of the two step printing process. 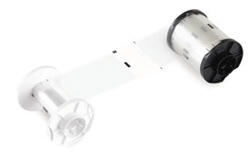 A specific transfer film for each model retransfer printer is required for printing. Other printers do not require transfer film. 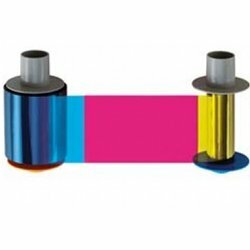 What overlaminate is best for my printer? Fargo Polyguard 0.6 clear overlaminate is the standard one that is used. Can I get custom holograms?